Friday and Saturday nights, from 7 p.m. to close. Enjoy the fun of bowling with black lights, colored lane lights and color pins. 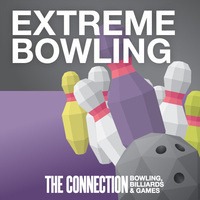 It’s the only extreme bowling you’ll find in Boulder—and it’s fun for everyone! Win prizes for color head pin strikes!